Research is inclusive - We believe that research is open and public, available to everyone from a Junior Constable to the Chief of Police. Research is cost effective - It helps communities spend money wisely because it positively impacts policing outcomes. Cost savings result from implementing a solution that has been successful in another community or from new research that finds a better solution to a current issue. 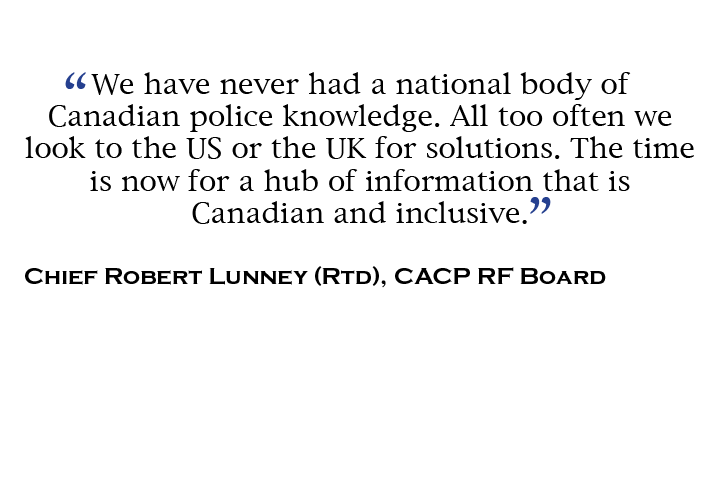 Research is Canadian - A body of policing research based on Canadian culture, laws and policies is urgently needed by the Canadian policing community.